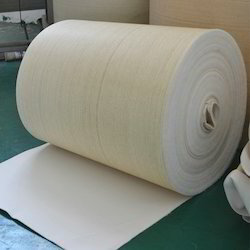 Our product range includes a wide range of non woven fiberglass felt, non woven nomex felt, polyester filter felt, non woven filter felt and non woven pps felt. Nonwoven fabric is a fabric-like material made from long fibers, bonded together by chemical, mechanical, heat or solvent treatment. The term is used in the textile manufacturing industry to denote fabrics, such as felt, which are neither woven nor knitted. 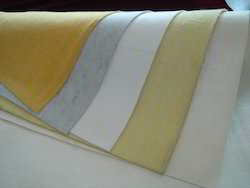 We are engaged in offering our clients a broad range of Non Woven Nomex Felt. The offered product is extensively used for different filtration purposes in various industries. They are available in different sizes and specifications to meet the variegated requirements of our clients. They are made using supreme quality raw component using advanced technology to meet the latest industrial standards. Furthermore, we provide this product at market leading price. 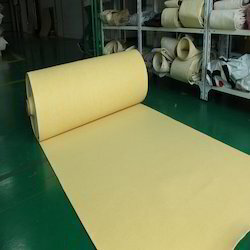 We Used Polyester , PP , PPS , Nomex , PFTE , GLASS FIBER nonwoven fabrics. We manufacture Non-woven Needle Punched Felt and Fabrics made of virgin polyester, viscose, Poly Propelyne and other fibers. Also available in any desired blend. Our Soft Needle Punch Felt is available in different finishing and coatings. 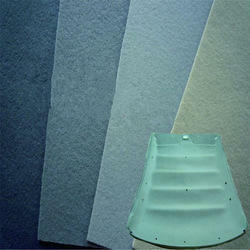 Our valued clients can avail Non-Woven Filter Felt from our impressive collection of filter media cloth. It is made by using different materials such as polyester, polyester teflon laminated and acrylic homo-polymer polypropylene. These are subjected to a range of quality parameters in adherence to industry norms. Our clients can avail these at very reasonable prices. 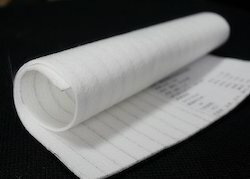 We offer a range of Non Woven PPS Felt. Our offered range is precisely manufactured by our skilled team of workers using best quality fiber and cutting edge techniques. This product is used in saddlery blankets, auto carpets, and horse riding saddlery equipment's. Our product is checked on quality parameters for assuring the quality before the dispatch.